For fans of Eleanor Oliphant Is Completely Fine, debut author Suzy Krause delivers a quirky, colorful story about love, loss, second chances, and what it means to truly live. Valencia, a timid debt collector with crippling OCD, is afraid of many things, but the two that scare her most are flying and turning thirty-five. To confront those fears, Valencia’s therapist suggests that she fly somewhere - anywhere - before her upcoming birthday. And as Valencia begins a telephone romance with a man from New York, she suddenly has a destination in mind. There’s only one problem - he might not actually exist. Mrs. Valentine is an eccentric old woman desperate for company, be it from neighbors, telemarketers, or even the funeral director (when you’re her age, you go to a lot of funerals). So she’s thrilled when the new cleaning girl provides a listening ear for her life’s story - a tale of storybook love and incredible adventures around the world with her husband before his mysterious and sudden disappearance. 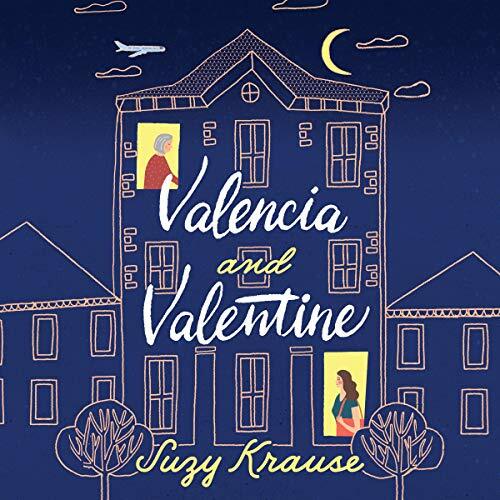 The stories of Valencia and Mrs. Valentine may at first appear to have nothing in common…but then again, nothing in life is as straightforward as it seems. ©2019 by Suzy Krause. (P)2018 Brilliance Publishing, Inc., all rights reserved.